Some clients always worry about the partition installation, what accessories for movable wall that they will supply? Should we do anything before goods coming? For this question,our answer will be follow: We will supply full system of movable wall, except that,everything such as structure for fixing wall partition, gypsum ceiling, iron steel are excluded. Some clients may complain how can you not include fixing structure in your system? First, we don’t know exactly the site condition for each project, whatever the headroom space or existing structure,it would be better designed by architect according to our system. Second, the structure like angle iron is quite heavy and big volume, buying locally would be more reasonable. For the above reason, please see following accessories list. 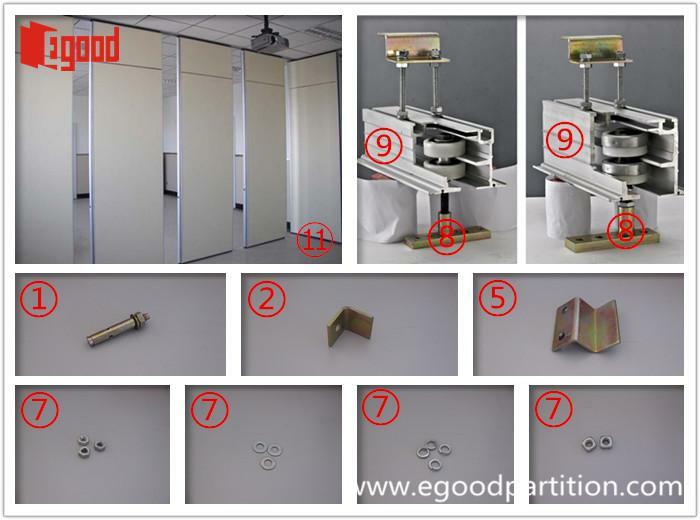 ⑪ Partition panel, provided by Egood. Client can fix structure before goods coming,and leave space for track installation. Of course, we would be more than pleased to help if you need our suggestion. Welcome to consult and discussion! 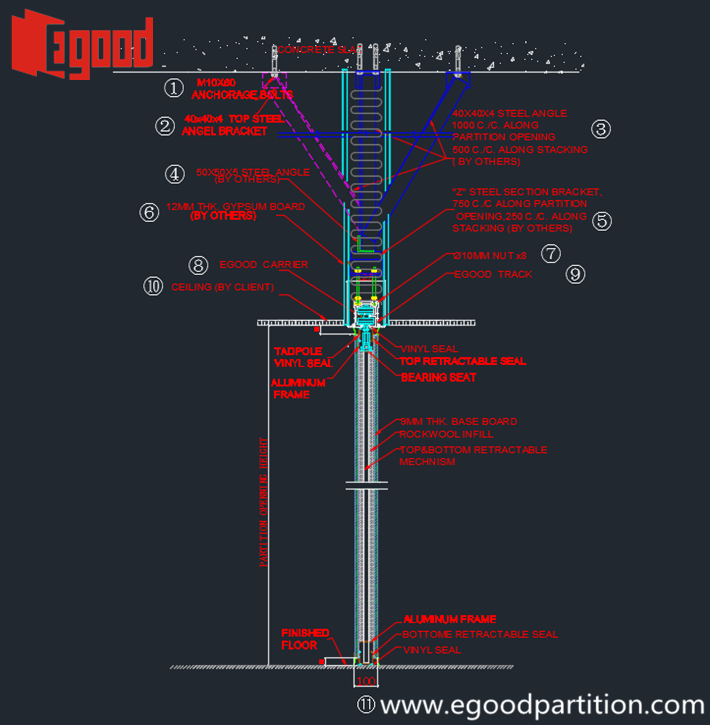 Pre:How to install Egood operable walls partition Track?